I have recently been working on an FM project where I have spaces and personnel shapes in Visio floor plans data linked to Excel tables. I constructed a number of related tables in an Excel workbook and wanted to demonstrate the relationships. 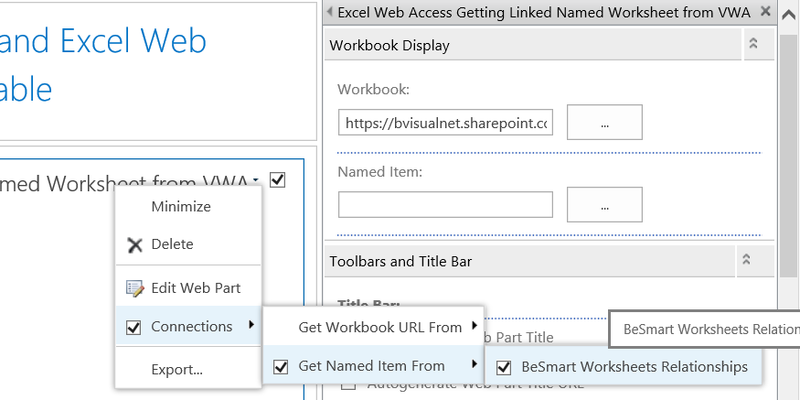 I decided that this is best explained with a combination of a diagram and sample data , so this article describes how to connect Visio and Excel web parts together in SharePoint 2013 web pages, without code. First, I constructed an Excel Services workbook and a Visio Services document. The Excel workbook has a number of tables on similarly named worksheets. I modified the Object Hierachy master shape, from the COM and OLE stencil, to include a Shape Data row called Table, and displayed the value of this as text. I then added the Visio Services diagram and Excel Services workbook into adjacent web part zones in a SharePoint 2013 web page. 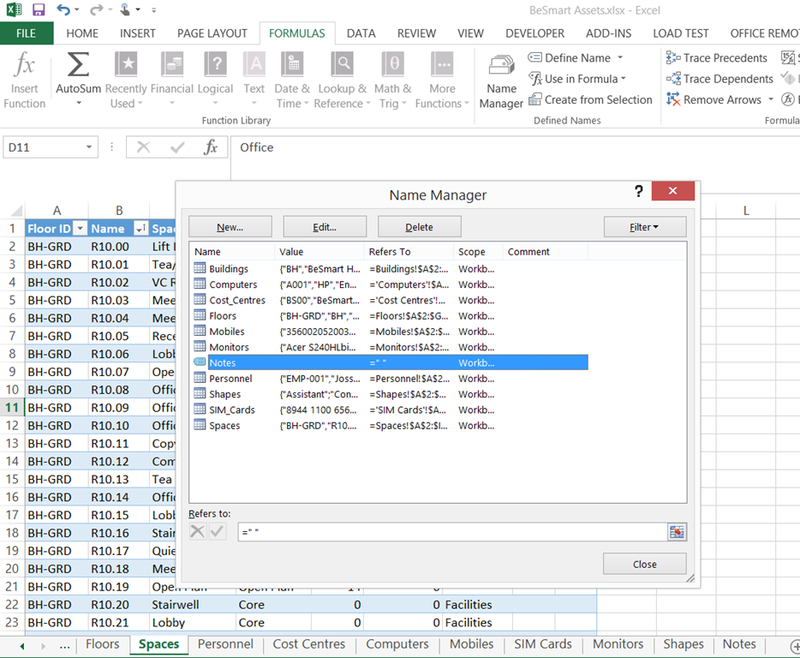 I edited the Visio Web Access control to expose the Table shape data items to web part connections, and configured the connection between the two web parts to use this as the field name. In fact, you can define the connection in either the Visio or Excel Web Access control, as the Connections menu option becomes available on each web part when there are suitable web parts in a page. 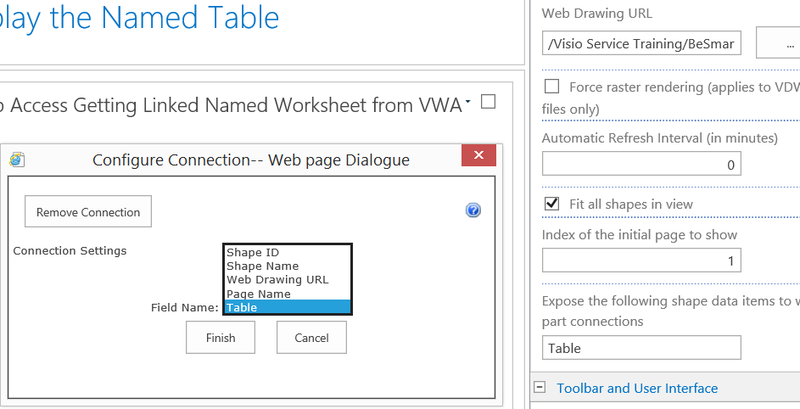 Note that the other option for the connection is to simply get the Workbook URL from Visio shape data item. Setting up this web part page was actually quite simple, and really helps me explain the relationships and data. 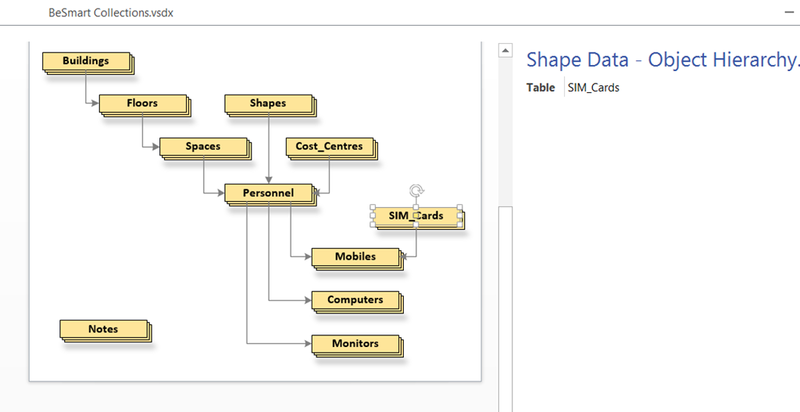 I can select an item in the Visio diagram, and the related worksheet is displayed in Excel.